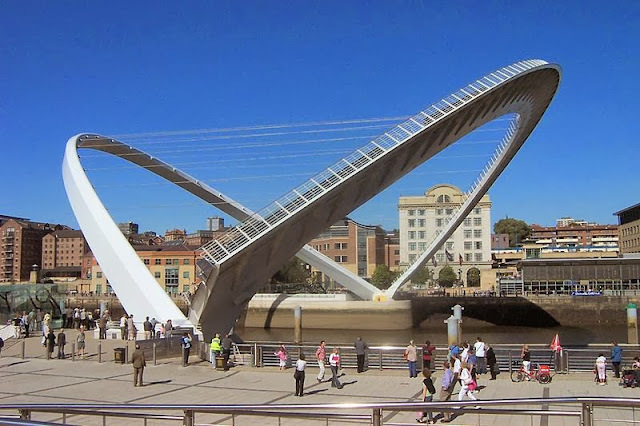 Interactive, multi-dimensional effects help pedestrians find their way The Gateshead Millennium Bridge (top), the world’s first and only tilting bridge, features colorful light shows from sunset to 1 am daily . In the Clink Street Bridge tunnel , strands of iColor Flex MX create complex, fireworks-like effects that react to changes in pedestrian activity. 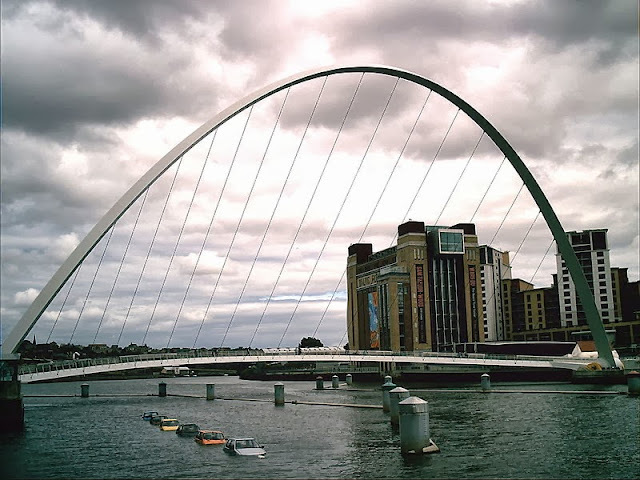 The Gateshead Millennium Bridge links Gateshead to Newcastle, England, across the River Tyne. 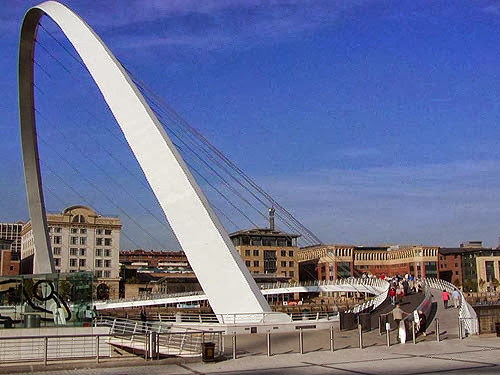 Primarily intended as an overpass for pedestrians and cyclists, the bridge features unique curved arches that mimic the movements of an eyelid as they tilt to make way for the maritime traffic below. Because of its unusual design and masterful engineering, the bridge is a popular tourist attraction. The 164 x 413 ft (50 x 126 m) bridge also required illumination that could create dazzling full-color effects while minimizing light pollution. Eight ColorReach Powercore fixtures saturate the arches with colorful light. 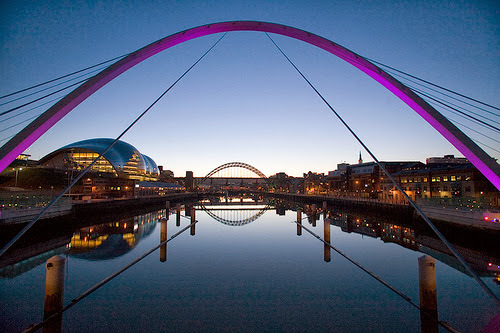 To illuminate the underside of the arches, four ColorReach Powercore fixtures were installed on either side of the river and positioned side by side, parallel to the river’s edge. Each half of each fixture is addressed and controlled separately for flexible, directional control of light dispersion, allowing the light to be projected exactly where needed and minimizing waste and spill light. To alert pedestrians and cyclists to the bridge’s opening and closing, custom-designed green LEDs were embedded in the ground in the shape of a “go” arrow when the bridge is open, while red LEDs create a no entry symbol when the bridge is closed.